An invitation to join MyVRSpot’s Development Summit at Sea in 2019. With the holiday season right around the corner, why not consider Live Streaming your upcoming holiday concert? If you already subscribe to MyVRSpot’s Live Streaming solution and want to broadcast your holiday concert with an expected larger-than-normal attendance, just send us an email at support@myvrspot.com at least 72 hours prior to the event. We will increase the resources allocated to your channel to handle the expected larger number of viewers. Capture your stream, convert it to a video, and place that video in your MyVRSpot account. Live Broadcasting – Did You Know? Did you know that you can activate a chat feature for your live streaming channel? Imagine queueing up live questions for the board or gathering instant feedback during PD stream. You can set the chat feature to be available to everyone viewing your live broadcast, or you can limit participation to those that are logged into their MyVRSpot account. Please note that public chats are not monitored or managed by MyVRSpot staff, though can be moderated by you or a member of your staff. Who Views Your Live Streams? Curious to see which classrooms are watching your morning announcements, or how many people are connecting to the school board meetings? Simply click the Tracking icon on any of your streaming channels, select the date range, and viola! This report will display a date/time stamp for each viewer, the duration they were connected to your stream, their name (if an authenticated user), the IP address of the viewing device, and the City and State of the viewer. Note: If the viewer is not logged into a MyVRSpot account, the letters “NA” will appear under the User Name column. In this edition of the Curriculum Corner, we cover citizen preparedness, maintaining your students’ retention of a lesson over the break, and updating your own Evidence Portfolio. Midterm elections will be held November 6th for most U.S. states and territories. The entire House and one-third of the Senate are up for election. Help your students understand the elections process by watching this Khan Academy video and SmartSpot quiz, or try SmartSpot with your own video and quiz. If you’re currently reading a book in class, ask your students to put themselves in the shoes of one of the characters in the book. Have the student record a 30-second video over the Thanksgiving break explaining what they think their character is grateful for. 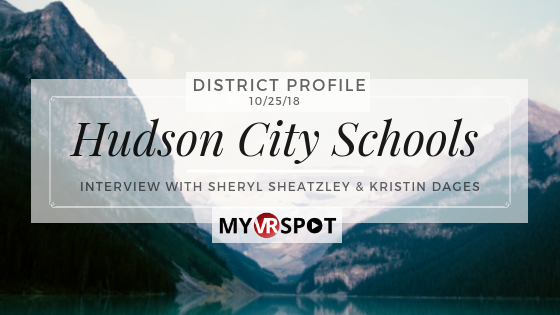 Ideally, you can have your students add their video to a new Group in MyVRSpot, where all of the other students in the class will have a chance to view those recordings. You and your students can dive into an in-depth discussion upon returning to school. Get brownie points from you students and fellow teachers. Take the videos that your students recorded from the Language Arts lesson above and insert them into a MediaSpot project. Use the simple drag-and-drop features to add a title, an explanatory paragraph, a “Gallery”, and then add all of your students videos to the Gallery. Share the project with the class and inspire other teachers. 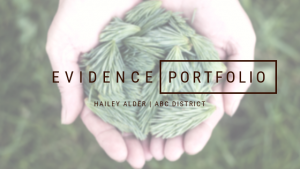 Is your Evidence Portfolio missing some of your key items, or maybe you haven’t started creating it just yet? Creating your own ePortfolio, or having your students create their own portfolio, is quite simple using the Shared Folder feature in MyVRSpot. Simply upload all of your content, such as your observation videos, student videos showing “mastery of content”, lesson plans, and evidence, and organize them into folders in your MyVRSpot account. Then, create a new Home folder called My ePortfolio and make sure to click the box “Share with Link”. Move all of the folders created above (Observation Videos, Student Videos, Lesson Plans, etc.) into this new Home folder. 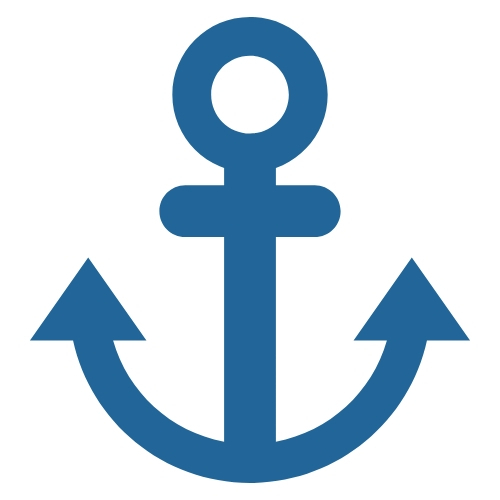 Now when you share the ePortfolio link, the viewer will have access to all of that content, in one easy to view format. Note: You can even Password Protect that shared folder, giving you complete control. View a sample shared folder here. Send us your success stories, ideas, lesson plans, or other brag-worthy material. We would be delighted to feature your hard work in one of our future newsletters. Send those emails to alecia@myvrspot.com. 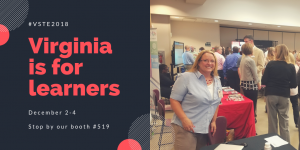 Are you going to Virginia’s VSTE Annual Conference, Future Learning: Surfing the Digital Wave? We are too! Stop by Booth #519 December 2-4 and say hello to the MyVRSpot Team. October 8 & 9, we had the pleasure to support VSTE’s Leading Ed Forum 2018 by live streaming several of the keynote and featured speaker sessions. If you’re a VSTE member, you can access the recordings of some session speakers by logging into your VSTE account. How Hudson quickly adapts to technology needs and policy changes. 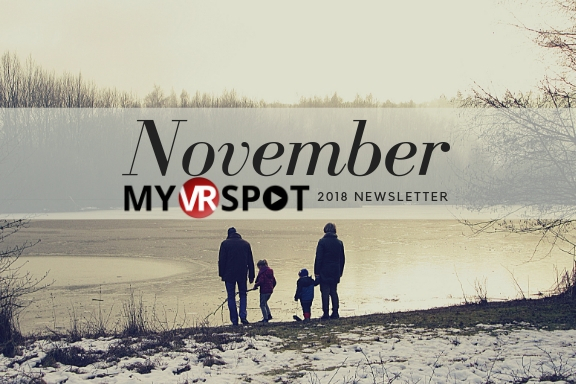 Are you a technology leader interested in helping to shape the future of MyVRSpot? Every three years MyVRSpot hosts their Development Summit to lay the groundwork for new tools and features to be released over the following few years. The Summit is an integral part of our development, as the majority of new tools and features come from suggestions made by educators and technology leaders like you. Our next Summit will be in July, 2019 onboard a RCCL cruise ship. If you are interested in learning more about next year’s Summit, including destination information and pricing, please email Michael Kessler at mkessler@myvrspot.com.